Kala’s Teaching Artists lead visual art classes for youth in grades K-12 throughout the East Bay. Residencies are tailored to meet the needs of each school. Many of our projects connect art making with other academic disciplines. We work with teachers to develop curricula that both challenges students and captivates non-standard learners. The Artists-in-Schools (AIS) program returns to the majority of its schools year after year. Over time, we’ve seen that art education fosters self-esteem, boosts motivation, creates resilient students, and helps build strong school communities. We reach over 2,500 local children and youth every year. Kala’s Teaching Artists represent a broad range of cultural backgrounds and artistic approaches. Teaching Artists are chosen by Kala for their professional skill, engagement with the art community, and experience teaching children and teens. Artists are responsible for meeting and planning with classroom teachers, designing and conducting residencies, mounting exhibitions, writing project and progress reports and helping evaluate the programs. As active professional artists who care deeply about urban youth, instructors inspire a great deal of respect in students as they pass on their technical expertise and passion for creating art. Elise Auger grew up outside of Boston, Massachusetts before attending Skidmore College where she completed a BA in studio art and French. During a year abroad in France, she discovered her love of printmaking through a screen-printing class at a Parisian design school. It was at this same school that she began to hone herself as an educator, by assisting for ESL classes. After graduating from college, she moved to the Bay Area where she immediately started working with the Youth Art Program at Kala Art Institute. She has since taught at Rosa Parks Elementary School and in Kala’s after school and Summer Art Programs. Elise also works for Berkeley’s Civic Arts Program and continues to tutor French. In her spare time, she’s likely to be found exploring the beautiful mountains of California. Christopher Castle is a British-born visual artist. His painting and printmaking focus on ancient cultures and human relationships to place and nature. He exhibits widely in the U.S. and in Europe. His work is represented in many public collections such as the British Museum, the Ashmolean Museum, the Scottish and Welsh National Museums, and private collections worldwide. He travels extensively, most recently to an artist’s residency in Romania where he has been studying iconography, folk art, architecture and rural land use. Recently, Christopher has been working on several painting commissions and teaching printmaking in East Bay schools for Kala Art Institute and Richmond Art Center. For his public art project “Mapping the Soul of the Land,“ he is working with community groups and schools to create murals and other art. Christopher is passionate about bringing art to the community as a creative adventure that nourishes individual fulfillment and collective understanding. Angie Crabtree is a visual art instructor with 15 years of teaching experience. She has worked as a Teaching Artist with organizations including Kala Art Institute, SFArtsEd and Leap. She has also taught at Glen Park Elementary, Cesar Chavez Elementary, St. Philip the Apostle and Claire Lilienthal. For the past five years at Woodside International High School in San Francisco, Ms. Crabtree worked with English learners from Europe, Asia and South America. Her teaching practice includes painting, drawing, photography, silkscreen, and murals. She has a flexible teaching style that combines both structure and play so that each student can experiment while practicing rigorous art-making techniques. Ascha Kells Drake moved to the Bay Area from New York City, where she was a teaching artist with The Guggenheim Museum’s Learning Through Art program, Studio in a School, and The Joan Mitchell Foundation. Ascha is a devoted teaching artist, collaborator, and developer of arts integrated curriculum. While she balances a studio practice as a painter and printmaker in Oakland, she presently works with Youth in Arts, Young Audiences, and the Contemporary Jewish Museum. She co-authored a book on Joseph Cornell entitled: The Joseph Cornell Box: Found Objects, Magical Worlds and another book on the work of Chuck Close. Ascha Kells Drake’s works on paper combine printmaking techniques with acrylic paint, handmade paper, spray paint, glue, and tape. Ascha received her BA in Studio Art and Art Education at Skidmore College in 1995. She then went on to Cranbrook Academy of Art, graduating in 1997 with an MFA in printmaking. Taro Hattori is an installation artist, originally from Tokyo, Japan and currently lives in Oakland, CA. Hattori’s installations respond directly to both the built and intangible elements of a specific environment through “installing” his work or and setting up dynamic situations. With backgrounds in theater set design and music, Hattori creates installations telling stories that are activated by the tension between objects, specific city of site and viewers. Hattori has been showing his work nationally and internationally. He has been awarded residencies from the Headlands Center for the Arts; Vermont Studio Center, Can Serrat, Barcelona; Millay Colony for the Arts, New York; McColl Center for Visual Art, Charlotte; Kuandu Museum of Fine Art, Taiwan; Djerassi Resident Artists Program, Taipei Artist Village and Kala Art Institute. He also has received grants or awards from West Prize, Center for Cultural Innovation, The Nomura Cultural Foundation and The Leah Middlebrook & Norio Sugano Fellowship. He received his M.F.A in Time Arts/Video from The School of the Art Institute of Chicago and his BA in Clinical Psychology from Sophia University, Tokyo, and studied theater design at Rutgers University, New Jersey. His work is represented by Swarm Gallery (Oakland), West Collection (Philadelphia), Black Square Gallery (Miami) and Peter Miller Gallery (Chicago). Hattori has been involved in education for more than 20 years, having taught at Stanford University, California College of the Arts, ASUC Studio at UC Berkeley, Kala Art Institute, Emery Secondary School, Japanese American Service Committee (Chicago), Insight Arts (as part of Gallery 37 in Chicago). Plinio Hernandez was born in El Salvador and immigrated with his family to the U.S when he was five years old. Growing up in a fusion of both cultures, and the hardships that were imposed on him and his family’s life due to it, are the foundation and the main source of inspiration for his current artistic practice. Plinio’s work is centered on questions of identity as well as emigration, deportation, integration and nostalgia. His performance-based work accentuates vulnerability, confusion and ambiguity, all part of growing up displaced to a foreign environment, trying to make sense of the experience. Hernandez received his BFA from Otis University in Los Angeles and MFA from UC Berkeley, concentrating mainly on documentary photography. He became disillusioned with documentary photography once he realized that it could easily be manipulated, which could make its informative aspect deceptive. Plinio moved away from pure documentation and began experimenting with photomontage, reflecting on the idea that humans have a tendency to recreate and piece together their identity and experience to suit their agenda. Currently he examines the ways in which immigrants from El Salvador portray themselves and their homeland in forums such as YouTube. Finding those video depictions inspiring in their tragic yet comic and overly nostalgic style, Plinio is in the process of creating a one- man musical inspired by them. Rei Jackler is an Oakland arts educator, design teacher, writer, and maker nerd. She holds a Masters in Teaching from Stanford University, where she also trained in Design Thinking at the D.School. In Oakland, she is currently Makerspace Manager for the La Escuelita Elementary School Makerspace, and has also taught design with Chapter 510. Rei loves making of all kinds: knitting multi-colored scarves, writing fantastical short stories, and baking with a lot of chocolate. She can’t wait to enliven the maker spirit at Camp Kala! Claire Kessler-Bradner is a second-generation San Francisco printmaker. Growing up in the culture of the print shop, she developed a love of process and problem-solving, materials, equipment and tools, and the collaborative camaraderie of making together. Her work in printmaking, painting, drawing, book arts, and sculpture addresses the narrative intersection of place and memory. After earning her MFA at California College of the Arts, Claire returned to teaching fine art at the middle and high school level. She has been an artist in residence at Kala since 2010, and her work in book arts is carried by Seager Gray Gallery in Mill Valley. Beth Krebs works as an artist and educator who moved to the Bay Area from Brooklyn, New York this year. Beth has worked with K-12 students teaching visual arts for the past nine years, with the Joan Mitchell Foundation in New York and with the de Young Museum, LEAP, and Young Audiences here in the Bay Area. She believes deeply in art making as a way for all kinds of learners to solve problems and share what they care about. Jen Lorang is a passionate and dedicated artist, teacher, and community organizer. After graduating from The Evergreen State College with a BA in book arts and printing, she worked as a freelance printer and illustrator for over 7 years in Olympia, WA, becoming a trusted and recognizable artist in the community before setting down roots in the Bay Area in 2011. She currently lives in Oakland, CA where she continues to teach and make art. As a self-described artist, queer, feminist, post-punk and healer, Jen is dedicated to making art that supports the radical undercurrent by visually weaving stories of ideas and communities hidden and oppressed in our society. Her artistic focus runs the gamut of drawing, bookbinding, letterpress printing, screen printing, and botanical illustration to leather working, lace-making, sewing, scrimshaw, and basket making. Kari Marboe holds an MFA from the University of California, Berkeley and a BFA from California College of the Arts. Marboe’s practice plays with water, clay, rectangles and writing to discuss the storage of individual and public memories. She is a Lecturer in the Ceramics and First Year Programs at California College of the Arts. Marboe’s site-specific works have been placed in Latham Square, Oakland, CA; the Museum of Northern California Art, Chico, CA; the Bancroft Street entrance of the Berkeley Art Museum and Pacific Film Archive, Berkeley, CA; and the Waffle Shop Billboard, Pittsburgh, PA.
Heide Miller is an art educator with degrees in Studio Art and Cultural Anthropology. She began her career working as a classroom teacher and later focused on art and art education for students in a museum setting. Currently, she develops art curricula and programming at the deYoung Museum and the UC Berkeley Art Museum/Pacific Film Archive, as well as maintaining her own art practice. Oree Originol was born on September 11 1984 in Los Angeles, Ca. His art practice began as a child but it wasn’t until 2009 when he moved to The Bay Area where he began to show his artwork in galleries and develop an art career. He began primarily as a painter but has since established himself in printing and digital media. In 2012 he joined forces with Bay Area artist, Favianna Rodriguez and her artist network, Culturestrike.net, and began to get involved in social justice art projects. Since then, Oree has remained dedicated to activism and in 2014 he decided to start “Justice For Our Lives” a social art project dedicated to promoting justice for people who have been killed by police. Oree continues to balance his art and activism by sharing his skills with the Bay Area community and beyond. Eric Sanchez is a Bay Area-based artist working in photography, digital printing, sculpture, installation, and currently drawing. Sanchez’s work has exhibited in local venues such as the Kala Art Institute, SFMOMA Artists Gallery, Chico State University and many other local grassroots galleries including Lobot, Rock Paper Scissors, Balazo Gallery, Blankspace, and The Compound. Sanchez has also exhibited in shows in Wisconsin and Washington D.C. Sanchez’s artwork is informed by science, biology, and pop culture. Previous pieces have incorporated content collected from Chiron labs, SFSU biology labs, the Academy of Sciences, growing bioluminescent bacteria, and collecting insects in the field. Sanchez’s current series reflects on the discourse surrounding biotechnology and how society will utilize this technology. Eric Sanchez received his Masters in Fine Art from San Francisco State University, California. He previously received his Bachelor’s in Fine Art with a minor in Art History from California State University, Hayward. Sanchez serves as faculty at Contra Costa College, College of San Mateo, Kala Institute, and the ASUC Art Studio in Berkeley. Scout Sheys is a printmaker, teaching artist, and plant nerd who has been involved with Kala for several years. 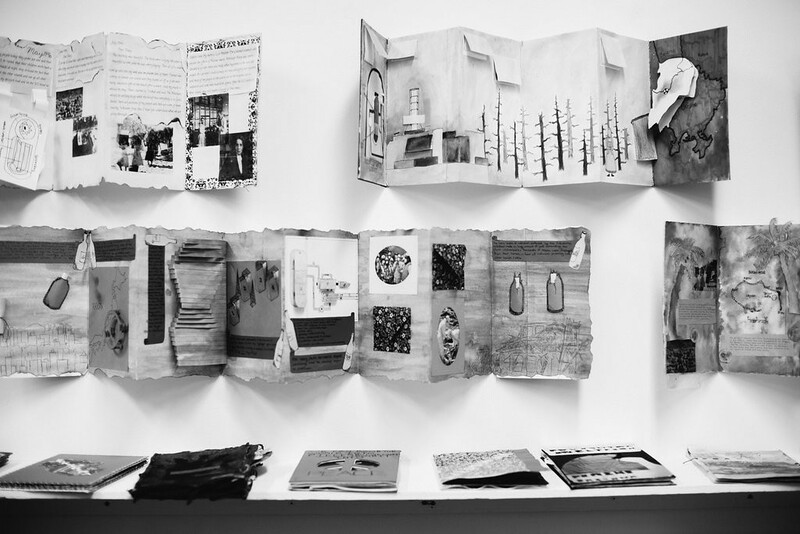 Scout has worked in art programs across the country, including Pyramid Atlantic Art Center in Maryland, and Zea Mays Printmaking, a nontoxic studio in Massachusetts. Scout graduated from Smith College, where she majored in Studio Art and minored in the Study of Women and Gender. A Maryland native, she currently lives in Oakland with her partner, various housemates, and two magical cats. When she isn’t busy printmaking, drawing zines, or writing letters, Scout can be found exploring the East Bay by bicycle and collecting old books. She is also an avid knitter and bread baker and fluent in Spanish. Brooke Toczylowski is an Integrated Learning Specialist and Instructional Coach with the Oakland Unified School District. She works with the Agency By Design Oakland Team to infuse public schools with maker centered learning opportunities. Agency by Design is an action research project with Project Zero, an initiative of Harvard’s Graduate School of Education. Brooke also teaches in Alameda County’s Integration Learning Specialist Program where she teaches Project Zero’s teaching and thinking frameworks, including Teaching for Understanding, Studio Habits of Mind, and Making Learning Visible.